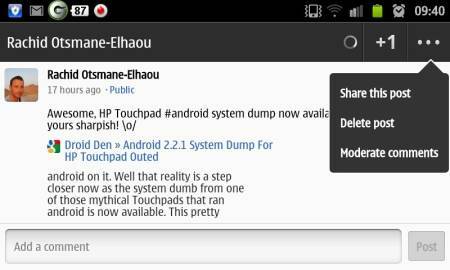 Google have updated their Google+ android app with one main new feature, the ability to share a post. This is one of the more fundamental features of Google+, so personally I'm surprised it took them this long to add it to the android app. Grab the update from the market here.